Our Kiosk Computers and Touchscreen Panel PCs make it easy to create reliable self-service installations virtually anywhere. Protected from the elements, our industrial Kiosk hardware lets you offer the best possible user experience with confidence. 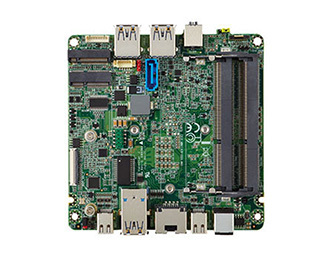 Our customers use Logic Supply hardware to create informational, production and retail installations in locations and applications that would cripple traditional PCs. 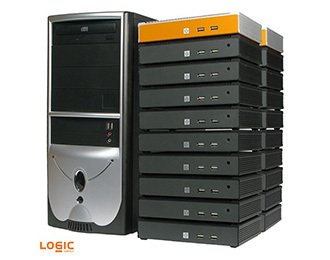 Logic Supply products are reliable, energy-efficient, and discreet, so they can run for long periods of time in customer-facing environments without issue and the entire process, from our first discussions to purchase, was nearly effortless. —Juan Perez, President and CEO of ADUSA, Inc.
You can’t afford in-field failures, which is why our systems are built to the highest quality standards. Designed with the needs of today’s wide variety of kiosk installations, our small form factor systems can be installed anywhere. 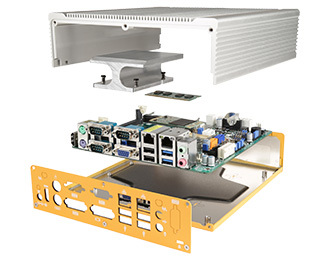 For the ultimate in reliability, count on our fully solid state, fanless and ventless PCs which eliminate all moving parts.